Face up to what you're avoiding. It's not gonna go away. Sometimes facing your tasks head-on is the best self-care. This is a week of haunting cards. Justice again. Combined with the past two days of the 6 of Pentacles, I have to reiterate. Focus your energy wisely. I took some time to reflect on this reading at the end of my day. This really was my mode today. King of Swords, hacking through the Seven of Wands big bad to-do list. Justice showed up when I had to deal with being behind and work to get ahead on what I procrastinated. It's not all bad because it also showed up when I got to be ahead of schedule for the tasks that I'd pre-planned and accomplished. Reap what you sow. If you're a morning daily draw or week ahead reading kind of person, take a moment to look back and reflect on how the card you drew showed in your day. Was it advice, warning, or blessing? Or maybe it didn't resonate at all and you wanna look deeper at why that may be. 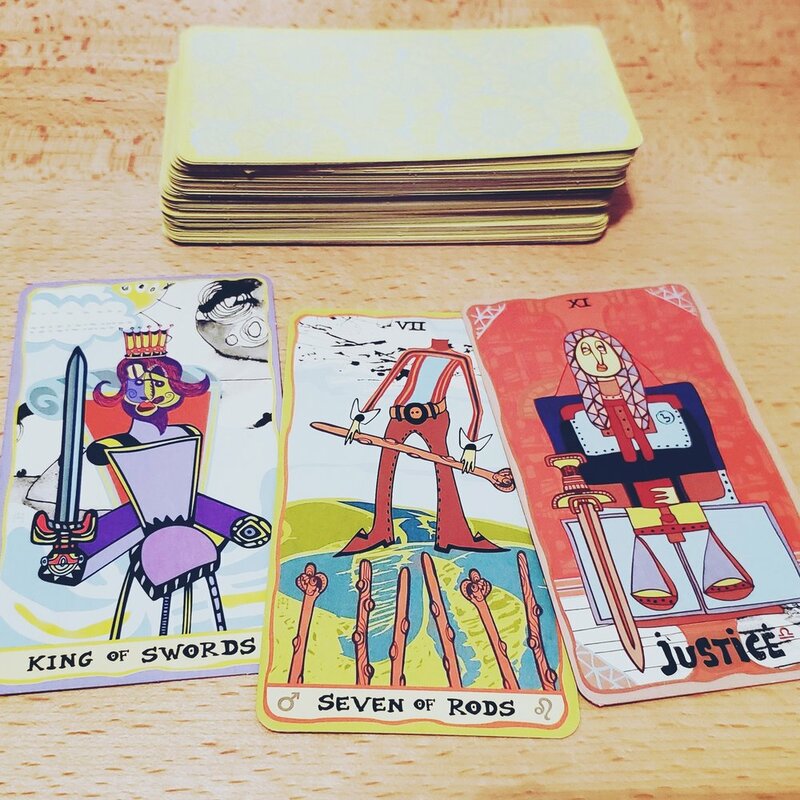 This practice helps us be more present in our tarot practice and grounds the ritual of drawing cards into our daily lives. I bet you also understand the cards more when you can directly connect them to your day to day world.